Lately I have found myself drawn to elephant accessories. I don't know what it is about them that I really love. My mom told me my grandmother had a lot of elephant jewelry. Maybe its genetic? 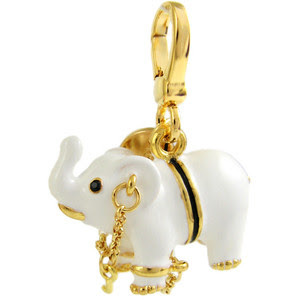 i love these elephant accessories my favorite is the first necklace!! I'm obsessing over #3!!! It's so elaborate and pretty. 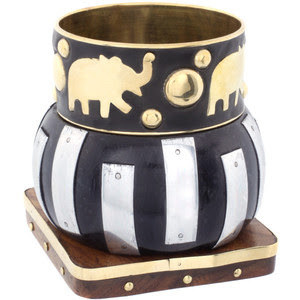 I don't own any elephant jewelry, but these inspire me to get some! these are all so darling. 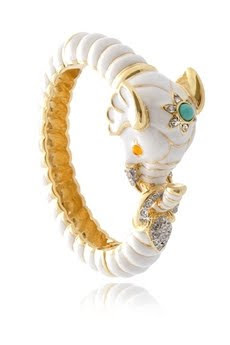 I love the white bangle! 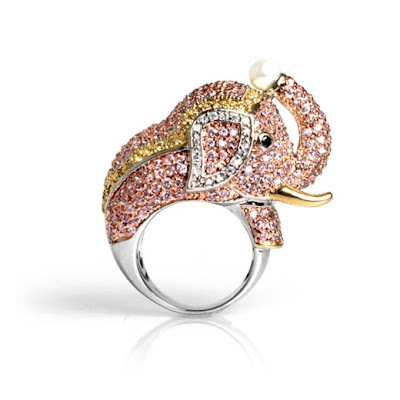 Love that elephant ring with the pink stones. Very cute. Just found your blog and it's great!